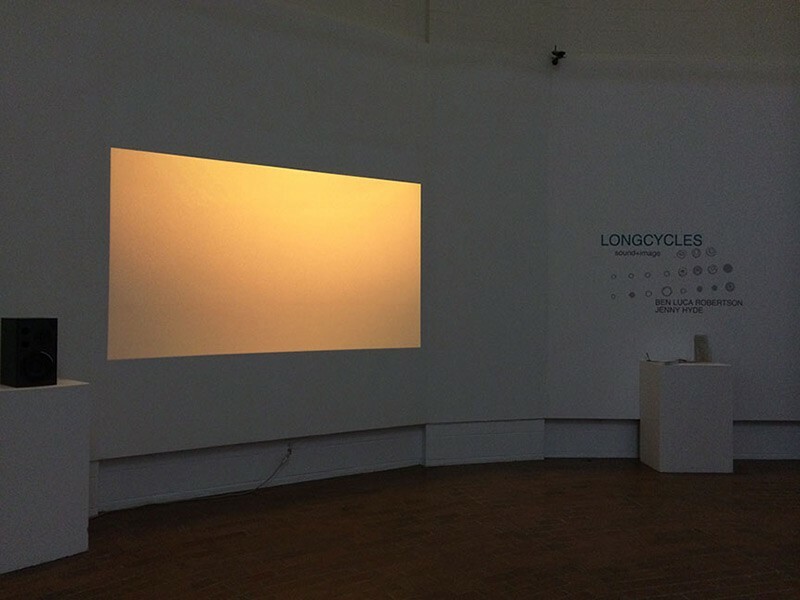 Long Cycles is collaborative project between music composer Ben Luca Robertson and digital artist Jenny Hyde. 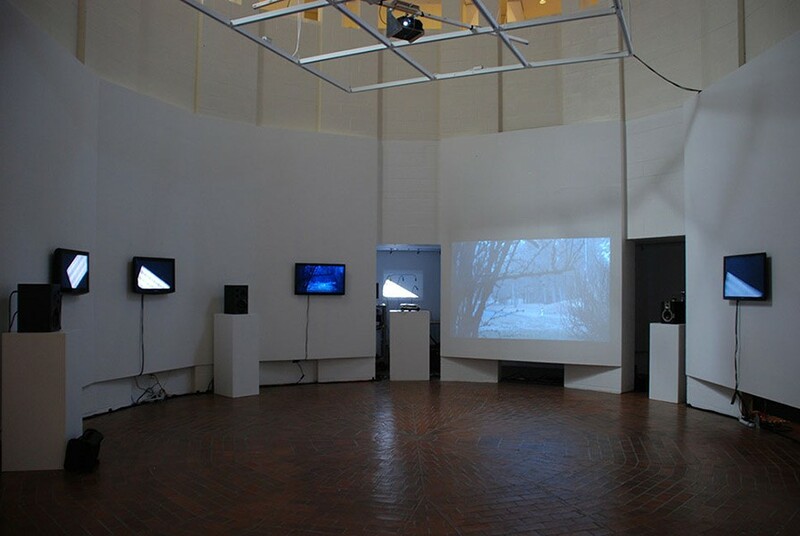 Ben Luca Robertson and Jenny Hyde have created their own ensemble of video and sound. Six channels of video become six different “scores” for six different channels of sound or “voices”. 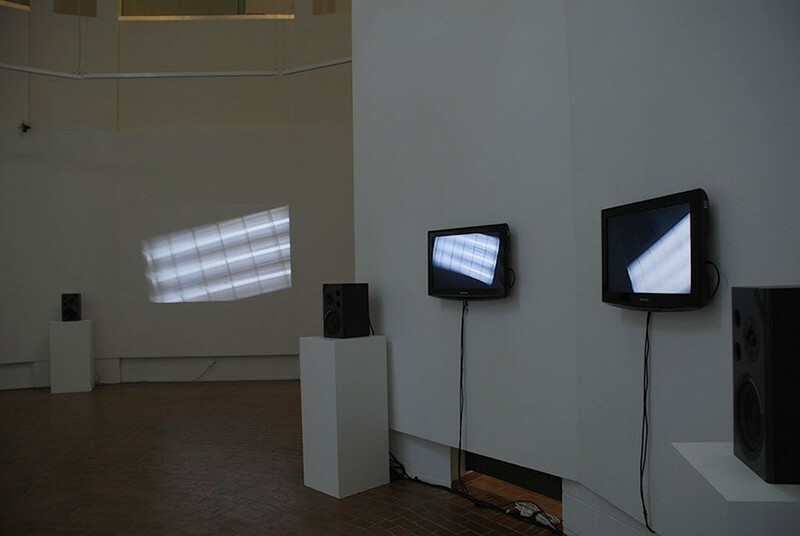 Photo-resistors (small sensor devices that are sensitive to light) act as musicians as they “read” the light changes in the video images. 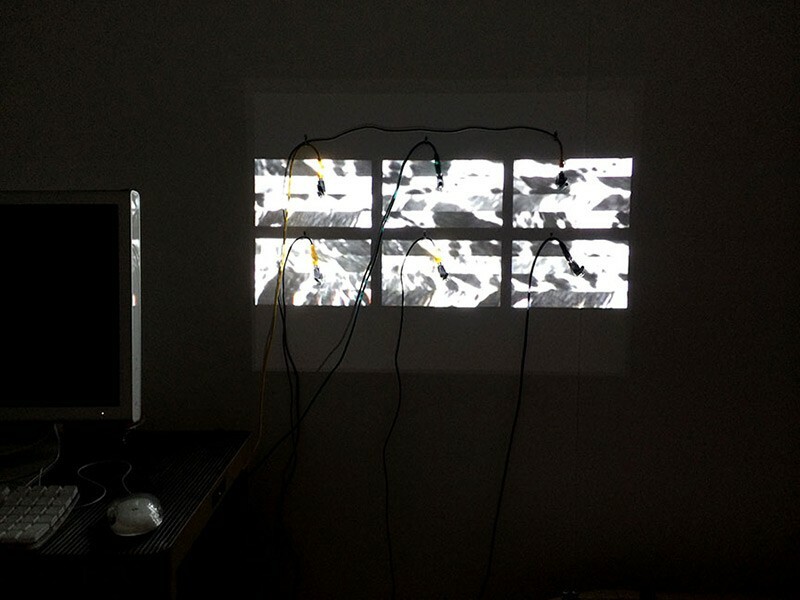 The information is translated by a computer application built by Ben Luca Robertson that acts as the instrument and produces the sounds. 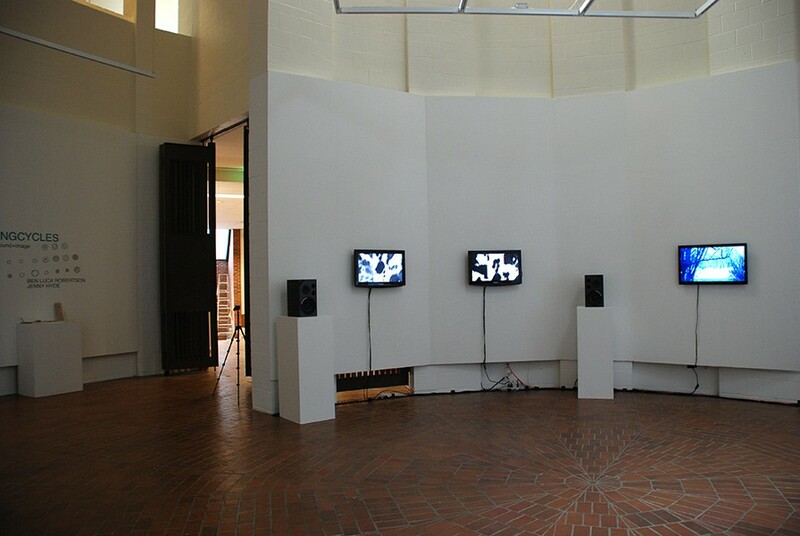 Six different channels of sound and six channels of video make up this digital-acoustic ensemble. The aural component of the piece is derived from variations in the harmonic spectra of the ubiquitous 60 hertz tone of alternating current (AC). As an artifact of the 20th century, this familiar hum pervades/plagues fluorescent lighting, faulty electrical circuits, & public address systems of supermarkets, elementary schools, hospitals, & other commercial or institutional settings. Pensively residing between the musical notes “B” & “B flat”, this frequency is an inadvertent fixture of the American landscape. The video imagery used comes from Hyde’s immediate surroundings, reflected lights on walls and windows, the ease of darkness to daylight, another reference to our American landscape. Both Robertson and Hyde are interested in the repetitive cycles that make up our lives, our personal routines in combination to circadian rhythms of our world. 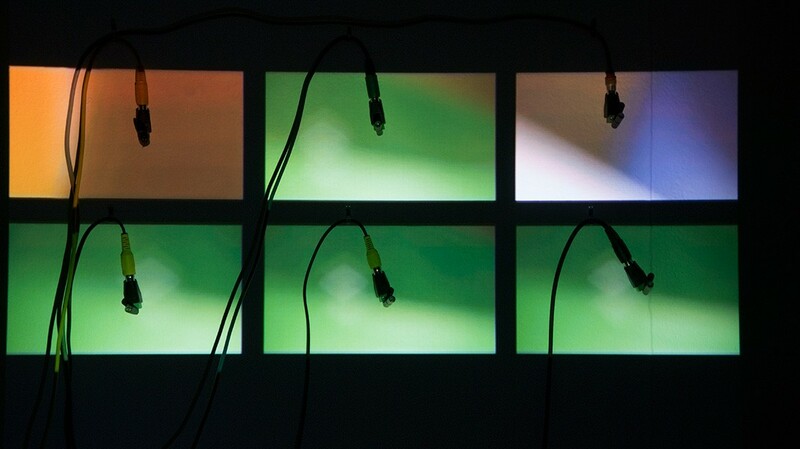 The two artists share an equal interest in analog sensibilities in combination with digital technology. This sound and video installation combines accuracy of the machine with the organic depth of real things – hands, mistakes, air and physicality. 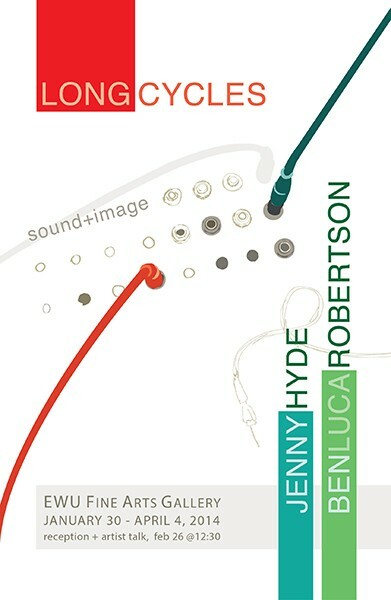 Both Roberston and Hyde share artistic influences from composers John Cage, Pauline Oliveros and Steve Reich (among MANY others). 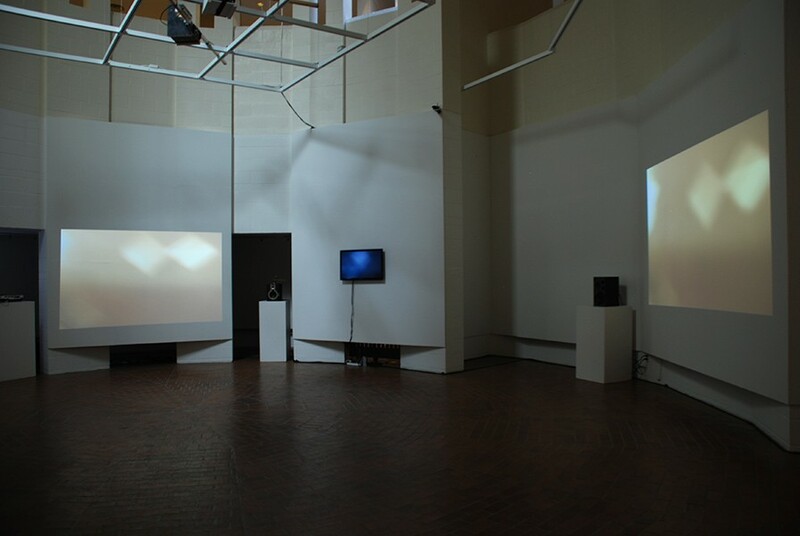 Hyde also references structuralist film makers Hollis Frampton, Michael Snow and Larry Gotteim.